Does this outfit look a wee bit familiar? That's probably because it's basically a dupe this combo I wore in May with the exact same style of dress, just a different color. I've been struggling to come up with fresh outfits without buying a bunch of new maternity stuff that will get very limited wear. I suppose I should see it as challenge to become better at remixing instead of just wearing the same thing over and over and over again (though there's nothing really wrong with that, right? Sometimes it's just takes too much mental power to come up with something new and interesting). 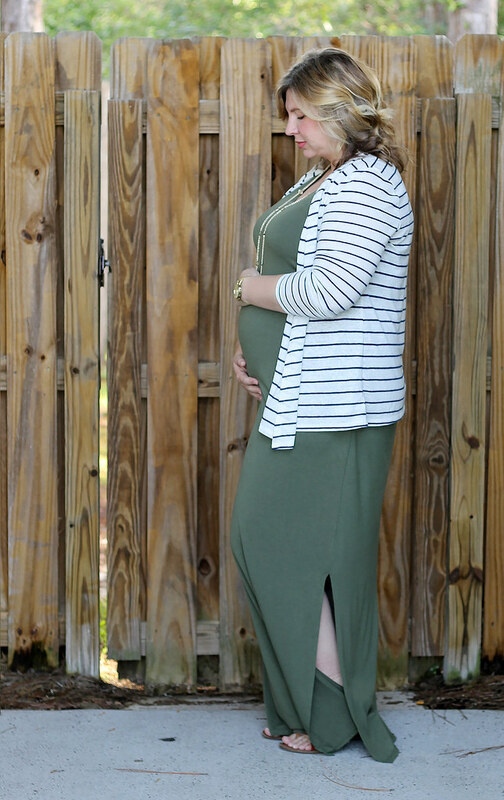 Today makes 26 weeks - time is seriously flying by - so it's time for another bump update! Baby boy weights approximately 1 2/3 pounds, 14 inches and about the length of a scallion from head to heel. He's been an active little fellow, and my husband finally felt some of his kicks this week. I also feel like this week the bump grew all of a sudden. I woke up on Tuesday and was like, huh, is it just me or did my bump get seriously larger? So I asked me husband for confirmation that I wasn't crazy and he agreed - baby had grown practically overnight! 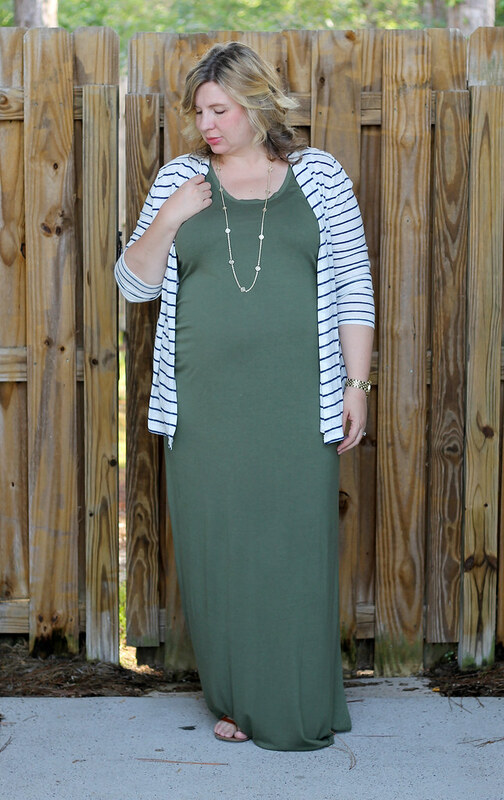 I have been loving your chic breezy pregnancy style, Erin. Congratulations once again. 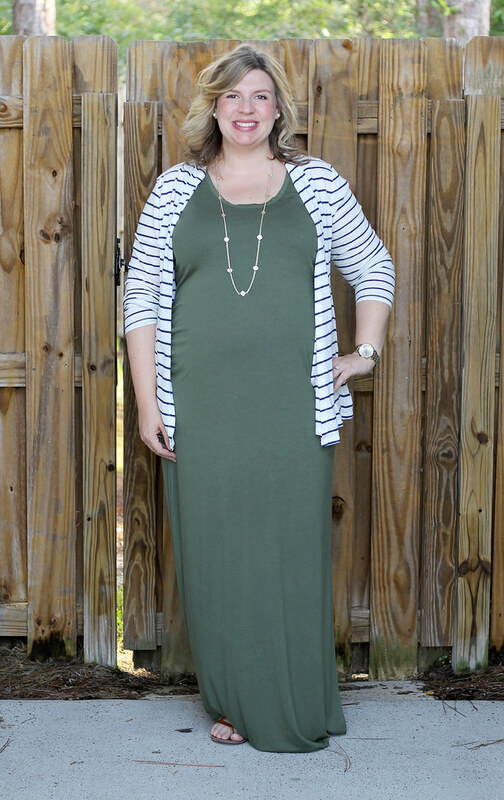 Love that olive maxi dress and how great you styled it with your cardigan and congnac sandals. Well done! 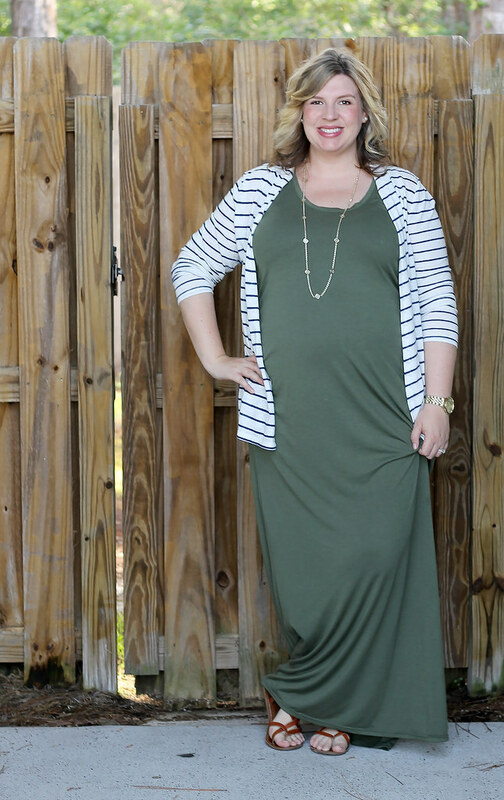 This maxi dress is perfect for your baby bump! Thanks for sharing at the Fab Friday linkup! 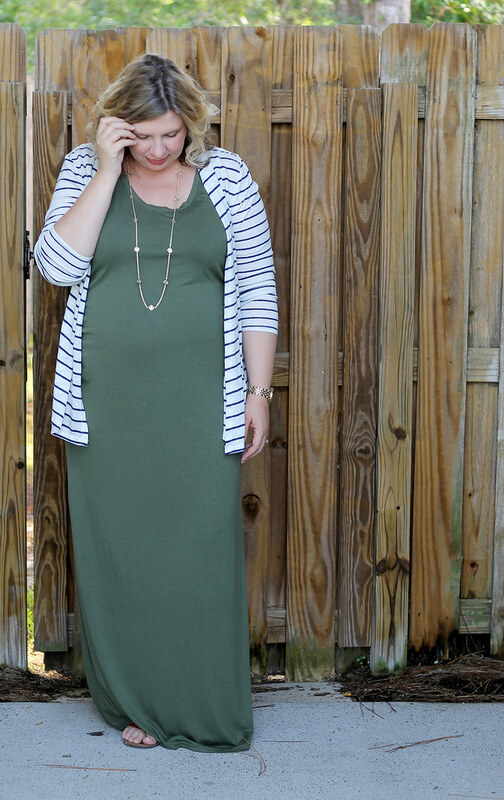 I'm so glad I hung on to my maxis after my last pregnancy - they've been an outfit lifesaver!